Trucking remains the most widely used way of shipping goods, with heavy duty semi-trucks being responsible for shipping 70% of all U.S. freight.. But it's also an industry that has not taken advantage of the kind of technological gains that many industries, leaving it open to waste.Transfix, an on-demand shipping marketplace for manufacturers and distributors, and it wants to fix that problem by bringing the trucking industry into the 21st century. And it just raised $12 million to do it, the company announced on Tuesday. The round was led by Canvas Ventures, along with existing investors Lerer Hippeau Ventures, Founder Collective and Bowery Capital also participating. The round brings its total funding to $12.5 million. 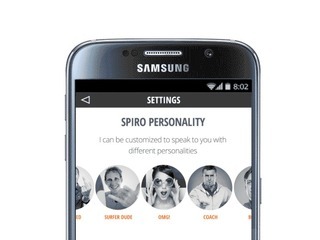 Spiro today unveiled a personal sales assistant built to help quota-carrying salespeople make more money. 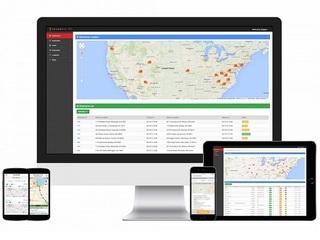 The company also announced the close of $1.5 million in seed funding. Investors in the round include: Rob Wadsworth, managing director of HarbourVest Partners, LLC; Vijay Balan, head of global publisher development at Facebook, Inc.; Tom Tucker, former CEO of Akibia, Inc.; Christopher Lochhead, co-founding partner of Play Bigger Advisors; and Omar Hussain, CEO of Imprivata, Inc.
MPIRICA Health Inc., a healthcare transparency company based in Bellevue, Washington, today announced a $400,000 investment from OurCrowd First, an early­stage seed fund with OurCrowd. The funding coincides with a free­to­employers release of MPIRICA’s Surgeon Quality Scores, which summarizes 4 years of actual surgical outcomes by individual physicians. VersaMe, a Palo Alto, CA-based company building education wearable devices for kids, closed a $2.5 million seed round of funding. Backers included Learn Capital, Stanford-StartX fund, and the family offices of Vincent Viola, Doug Cifu and Richard Dai. Co-founded by brothers Chris and Jon Boggiano and Nicki Boyd, VersaMe has also announced the release of its flagship product, the Starling, an education wearable for children ages 0-4, wwhich tracks words spoken and heard by a child during the formative stages of development to increase verbal engagement. The Starling syncs with a cell phone app and offers activities, encouragement, and prompts to help motivate parents. Ready-to-cook food startup Chefs Basket has raised $6 million (about Rs 40 crore) in series A funding from SAIF Partners and India Value Fund Advisor's partner Haresh Chawla, an angel investor in the startup who also participated in this round in his personal capacity. The company, founded in 2012 by three IIT Bombay batchmates, plans to use the funds to expand its range of products and add new distribution channels. It currently sells ready to cook packaged food under Chefs Basket brand. Contactually, a Washington, DC-based relationship management platform for service-oriented professionals, raised $8 million in Series A funding. The round was led by Rally Ventures and Grotech Ventures with participation from Correlation Ventures and existing investors Point Nine Capital, Middleland Capital, Bull City Venture Partners, as well as real estate professional Tom Ferry. The company, which has raised $12m in funding to date, intends to use the capital to continue ramping the sales, marketing and engineering teams. Estonian-British startup Lingvist, which offers an online platform for speedy language learning, has raised $8 million in Series A funding. The round was led by Japanese e-commerce and online services giant Rakuten, with participation from local investment firm SmartCap, Inventure, Skype co-founder Jaan Tallinn and former Atomico partner (and Skype exec) Geoff Prentice. Lingvist will use the fresh cash from its prior backers and Rakuten to hire more developers, designers, computational linguists, data scientists and others, in order to vastly improve the machine-learning algorithms that are at the core of its offering. Shenzhen-based cosmetics e-commerce and online beauty community start-up Meilaapp has completed series C round of financing worth $10 million led by Tiantu Capital, according to the company's Weibo account that links to a news report. Existing investor Morningside Ventures also participated. Bessemer Venture Partners has made its first investment in a new alternative lending startup in about 10 years, leading a $14.3 million Series A round in Bread. New York-based Bread, which is incorporated as Lon Inc., powers a pay-over-time button on retailer websites. It pays the full amount of a purchase to a merchant and then collects monthly payments with interest from the consumer. Its current offer is a 24-month loan. RRE Ventures also invested. 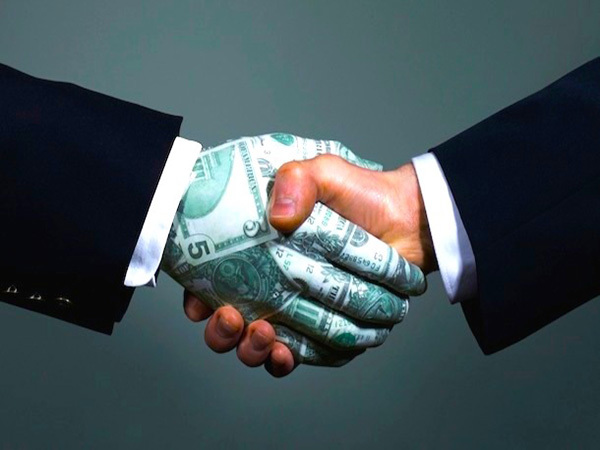 Venture capital will go in part to fund initial loans. Schoology, an education technology company, today announced $32 million in financing. It was led by JMI Equity, a growth equity firm focused on investing in leading software and services companies, with additional participation from existing investors FirstMark Capital, Intel Capital, and Great Road Holdings. This latest investment brings Schoology's total funding to $57 million. Concurrent with the financing, Jit Sinha, General Partner at JMI Equity, will join the Schoology board. miRagen Therapeutics, a Boulder, CO-based biopharmaceutical company developing innovative microRNA-based therapeutics, raised $41 million in Series C funding. The round was co-led by MRL Ventures and JAFCO Co., with participation from other investors Brace Pharma Capital and MP Healthcare Venture Management as well as existing investors Atlas Venture, Boulder Ventures, Remeditex Ventures, Amgen Ventures and others. In conjunction with the financing, Joshua Resnick, M.D., president of MRL Ventures, will join the miRagen Board of Directors. App-based car booking service Careem has secured one of the largest investments in the region’s emerging technology sector to date from a pool of investors led by The Abraaj Group (Abraaj). The Series C investment of $60 million, which will be used to drive Careem’s growth into new markets, also includes Al Tayyar, STC Ventures, Beco Capital, Impulse (a subsidiary of Kuwait Investment Authority), Lumia Capital and Wamda Capital. Privately held software maker Tenable Network Security Inc raises $250 million in venture capital funding, a record-sized round for a cyber security firm. Proceeds from the Series B round, which was led by Insight Venture Partners and existing investor Accel, will be used to fund product development, international expansion and marketing, said Chief Executive Ron Gula. Whether you're seed stage or ready for growth, Intel Capital can help take it to the next level. Since 1991, we have invested more than US$10.8 billion in over 1,250 companies in 54 countries. Our company building focus has resulted in more than 200 of our portfolio companies going public on exchanges all over the world and over 300 being acquired or participating in a merger. Launched in August 2013, Transfix has raised $12.5M in capital and is backed by top VC firms in NYC and San Francisco, including Lerer Hippeau Ventures, Founder Collective and Bowery Capital. Transfix is headquartered in New York City.